Artist John Rocco has done it again! The official cover of the third The Trials of Apollo novel by Rick Riordan (titled The Burning Maze) has just been released. It is one thing to read an exciting story by Rick Riordan, and it is another, if not entirely better, if the covers are just too good and uniformly satisfying. The covers of Rick Riordan's serial novels have been very good to my OCD tendencies and this is no small feat. The uniformity of the layout and the typeset just makes me tear up with joy. Entertainment weekly has unveiled one such satisfying official cover and has released a sneak preview as well. 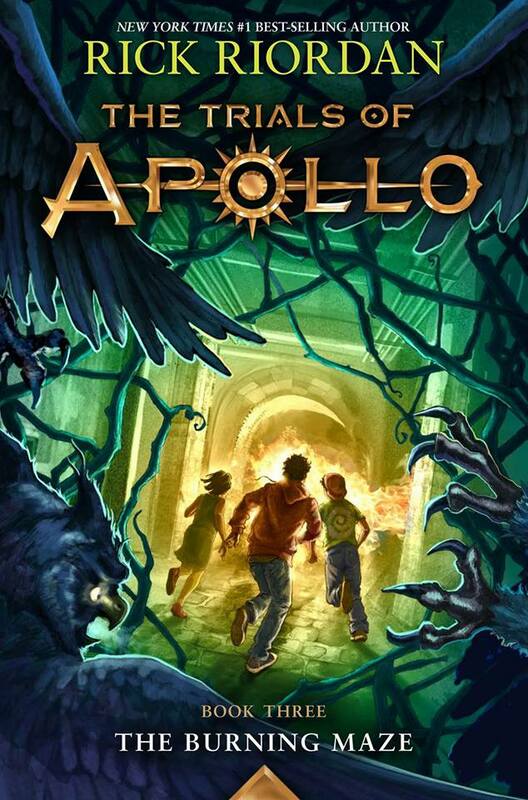 Check out the fantastic cover of The Trials of Apollo: The Burning Maze by Rick Riordan. The Trials of Apollo: The Burning Maze by Rick Riordan will be released on May 1, 2018.